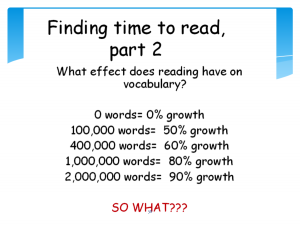 Another virtue of books and reading: they aid in language development and acquisition. I think this virtue might be one that is either overlooked or denigrated. However, the opposite tack, being emphasized, can also be detrimental. Let's see if I can find that happy medium, what reformists might call BALANCE (though I think balance is for beams and scales). Now that the research is out of the way, let's talk practical matters. When we share books with rich language (note that I did not use the word rigorous or complex but RICH, it shows. Kids who have heard or read Say Something by Charlotte Zolotow know the word "splendiferous." Max makes "mischief." We learn rhyme with Madeleine (and Mother Goose and so many others). We learn about literal and figurative language with Amelia Bedelia. For older readers, Ella Minnow Pea and The Wonderful O are exercises in playing with language (think of the impact on writing when we learn we can play with language). Let's turn to this year's ALA Youth Media Awards and see what they can offer readers. 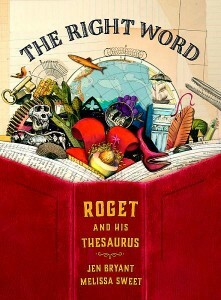 THE RIGHT WORD, a picture book about Roget (yes, that Roget) is a perfect piece of NF to share with readers. As Mark Twain quipped, "the difference between the right word and the almost right word is like the difference between lightning and lightning bug." 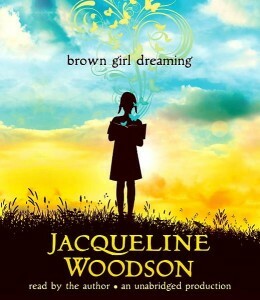 BROWN GIRL DREAMING by Jackie Woodson is made for reading aloud. And you can hear a sample of Woodson reading her memoir here: http://www.amazon.com/Brown-Girl-Dreaming/dp/B00MI249D2. 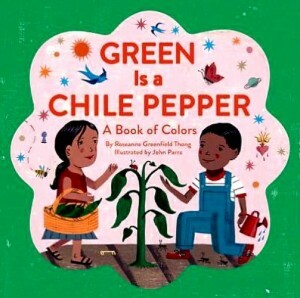 GREEN IS A CHILE PEPPER teaches simile and metaphor in English and in some Spanish as well. Symbolism is also something explored in a book for young readers but perfect for exploring as a mentor text. The list could go on and on easily. The bottom line is that reading aids in the development of language. 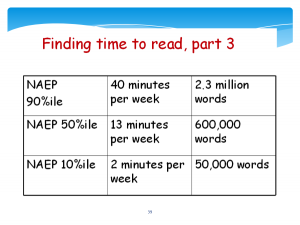 Reading aloud and audiobooks can play key roles here. Hamlet answers Polonius' question about what he (Hamlet) is reading with the droll, "words, words, words." We know it is not the act of simply reading words, though. If that were true lists of words would be all we would ever need to improve vocabulary. Rather, it is words in story that make the difference. Let's instill some more virtue in our world of reading.